Good day everyone! How's life doing on you? Are you all good? Mine is great! 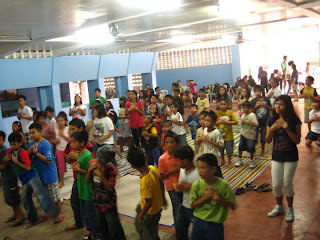 I just came from a 3 days and 2 nights Youth Camp held at Corpus Christi Parish Basement. It was a great weekend for me just seeing the young ones having fun and experiencing God's love. I was a part of the service team during the camp. It was so tiring and exhausting making sure everything is alright. There were many harassment during the camp: from small things like equipments failing, lack of supplies to people problems. The fact that the whole service team doesn't know each other because of so many support service teams from other chapters became a problem itself. Personally, I got a problem with my hygiene because of the time. I wasn't able to take a bath for three days. (LOL!) 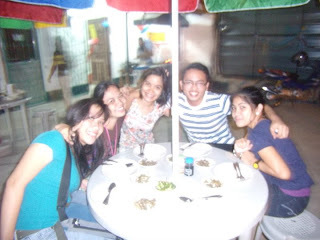 I remembered an experience where I wasn't able to take a bath for one day and to top that, I wore an unwashed uniform. I felt very dirty that day. That's what I felt during the last day of the camp but I have no time to feel bad because I was so tired. But on top of that, it was a very blessed and touching experience. You can really feel God's presence every time you see the young ones smile. God bless everyone and keep the faith and love intact! Good morning guys! I just want to share the happiness that I experienced last weekend. We had our first Senior Kids' Camp at San Lorenzo Ruiz Parish Basement. It was really an amazing weekend full of energy amassed by the kids. We handled 76 kids with age ranging from 8-12 yrs old. So you could imagine us running around with them not because we wanted to play with them always but because they wanted to play with us. Running around like beads that fall and scatter to all angles imaginable. But at the end of the camp, you could only be very happy seeing their happy faces knowing that they had a great time not just having fun but also learning and experiencing God through our love and care. That, I think is the essence of being a servant. To serve and share the love that God has shown us and not choosing when you are not tired and available but doing it in any way and on any chance possible. God bless everyone and keep the love and faith intact! Good day everyone! How are you? I would just like to share a song that really touched my heart. This song was written by Chris Medina, an American Idol contestant, after the accident that his girlfriend met two months before their planned wedding. The accident which resulted in a brain damage destroyed their beautiful plans but not their love for each other. God bless on you both. Keep the love and faith intact! Good day guys! How are you? I am feeling great and blessed. It sure feels good to be with friends, especially to see them strive hard to reach their dreams. It makes me strive harder also. Last night, we went to the opening of Q for U food house. This food house is owned by the Panerio's. Q for U offers chicken barbecues: thigh parts and breast parts. It has it's own unique taste that makes you yearn for more. It is still a small-time food house but I can see a future with it. I have a feeling it will grow larger. And that is with God's guidance. We had a great time talking. But I was more of an observer because it's my first time to be with these ladies. I can see that they really share a great bond. You can see them on the picture. That is (from left to right) Mich, Sweet, Kris, Me, Lorraine and Jane at the camera. Anything that we do is meaningless unless we share it with someone. To have friends supporting each other is a great stress reliever. It is really great to have sweet and fun friends. God bless you guys and keep the faith intact! .. bLack and wHite and piNk..
Tristan Prettyman and Her Breakup Album ? Imam Hasan (AS) The Second Imam.